If you are a litigator and your client faces an IP action, you may need an IP specialist to assist you. 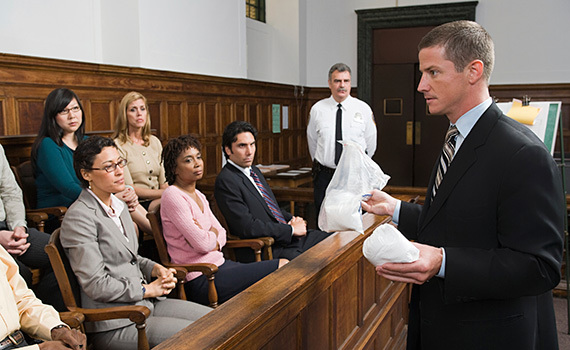 Even if you are comfortable handling the merits of the dispute, you will need local counsel for actions brought in the District of Oregon. Kolisch Hartwell offers high quality IP litigation assistance and local counsel services to litigators around the United States. Starting from our inception in 1952, Kolisch Hartwell has represented clients in hundreds of federal district court actions around the country and has appeared at least 35 times before the federal appeals courts, including three appearances before the United States Supreme Court. Our experience and extraordinary depth and breadth of technical expertise allows us to work on cases involving any technology and degree of complexity. We provide predictability through detailed and accurate cost estimates, and the responsiveness that only a smaller boutique firm can offer. Furthermore, our size and location allow us to provide our litigation and local counsel services at a far lower cost than large national firms.